Heyah! Since it's Friday and while I am still waiting for My ID is Gangnam Beauty's 15th episode which will be aired tonight and will be available on VIU Ph tomorrow at dawn, here's an ice breaker!!! So early this year, I found some friends who I shared my super kabaliwan with KDrama, specifically, Goblin, Gong Yoo, Kim Go Eun and Gong Yoo - Kim Go Eun (hands up if you get it! haha). I've been crazy about them since Goblin and I was so happy I am not alone. Anyway, one of them... Momma Jasmin, went to Korea last March and that was like a month after Uniqlo realeased their newest collection featuring Kim Go Eun! And Momma Jaz being the best fairy godmother to GongGo shippers, she gave me a Uniqlo dress that can only be bought in Korea and exactly what Kim Go Eun wore on her Marie Claire magazine feature!! 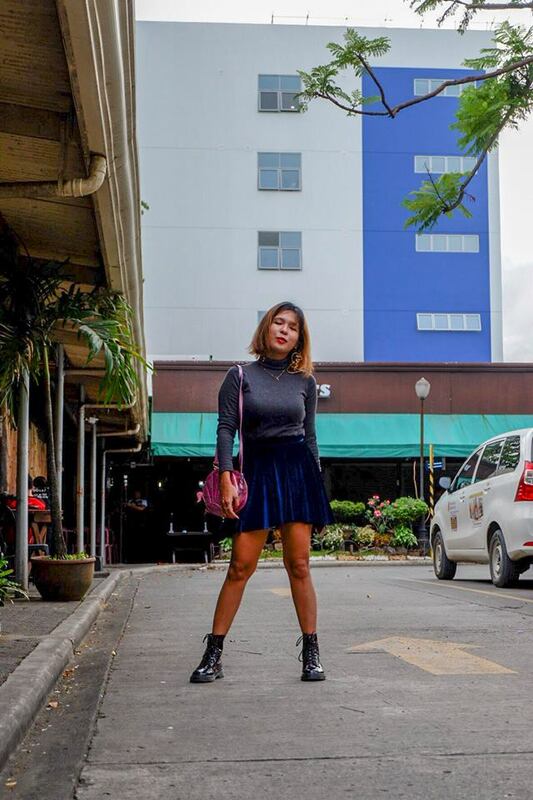 And because the pasalubong was so extra, I did my OOTD post a little extra too!! I super love the vintage vibe of the dress...the floral dots, the mustard color, the wrap-around design, and OMG, there are pockets!!! I paired it with my thrifted vintage black loafers. Bought it for only 50 pesos and now it's overused! And I am also pretty sure I will be overusing this dress. I'm just pretty much like those girls who, when obsessing over something, I get so immersed that it becomes part of my daily life... I don't know if its just going to be a phase but since I've been watching Korean Dramas lately, it has become my style. Last June 29, I flew to Manila to celebrate Kim Go Eun's birthday with my fan girlfriends. 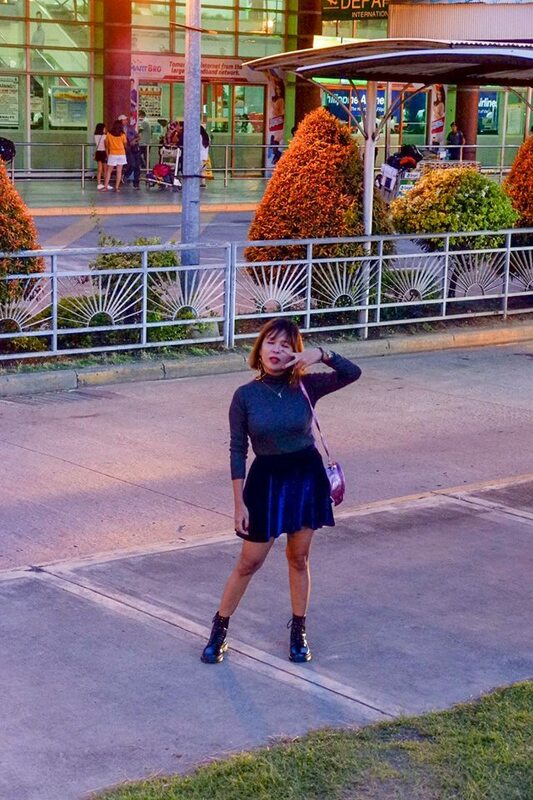 Here's what I wore at the Airport. When I was looking around me that time, I realized I'm glammed up and I was feeling overdressed. And I also realized that being overdressed is sooooo me. So I didn't care. You know, one thing that makes me so excited lately is dressing up. Since I've been just working at home, I rarely go out and I'm too lazy to dress up for nothing. 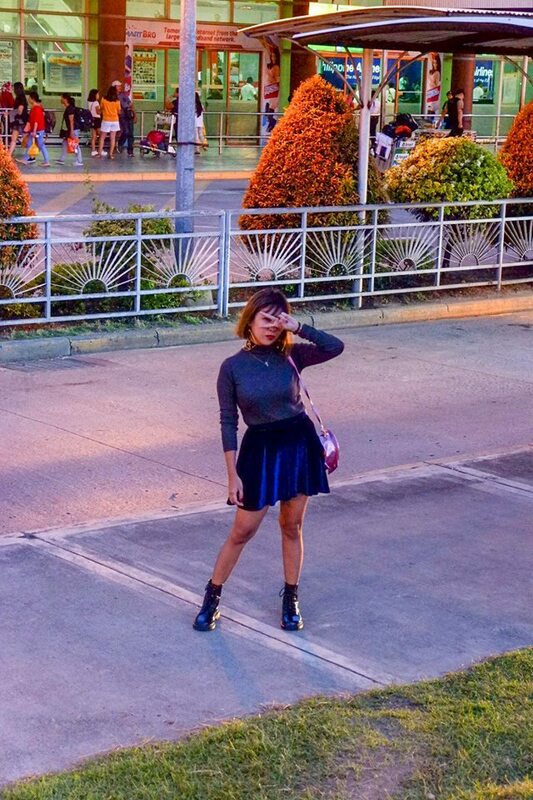 I don't have a really good background for an OOTD photo too. So whenever I get the chance to go out, I always dress up. My turtle neck top is ancient. I forgot where I got them but it has been kept for years. Found out that it's just a perfect pair for my velvet skirt. 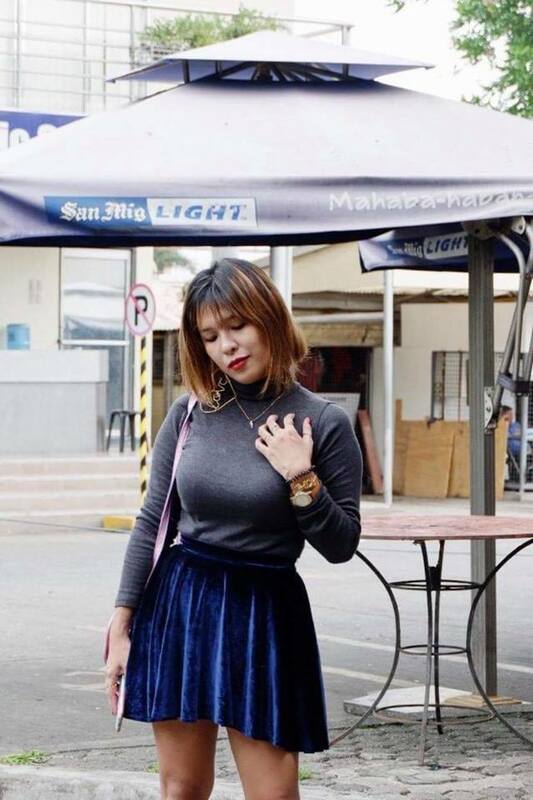 I got my velvet skirt from an online thrift shop. So what do you think? Am I overdressed? If you haven’t heard about them yet, Philippines just finally got an answer to every girl’s never ending dilemma of WHAT TO WEAR everytime they face their closet! Actually, they’ve been around for more than a year now. StyleGenie Ph is here to have your closet wishes granted!! 5. The element of surprise each box makes it exciting! 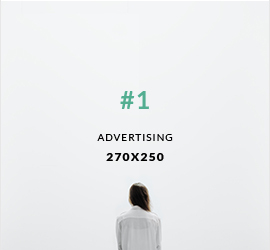 ❤️ Also at number 5 is knowing that StyleGenie is founded by all women! GIRL POWER! 4. 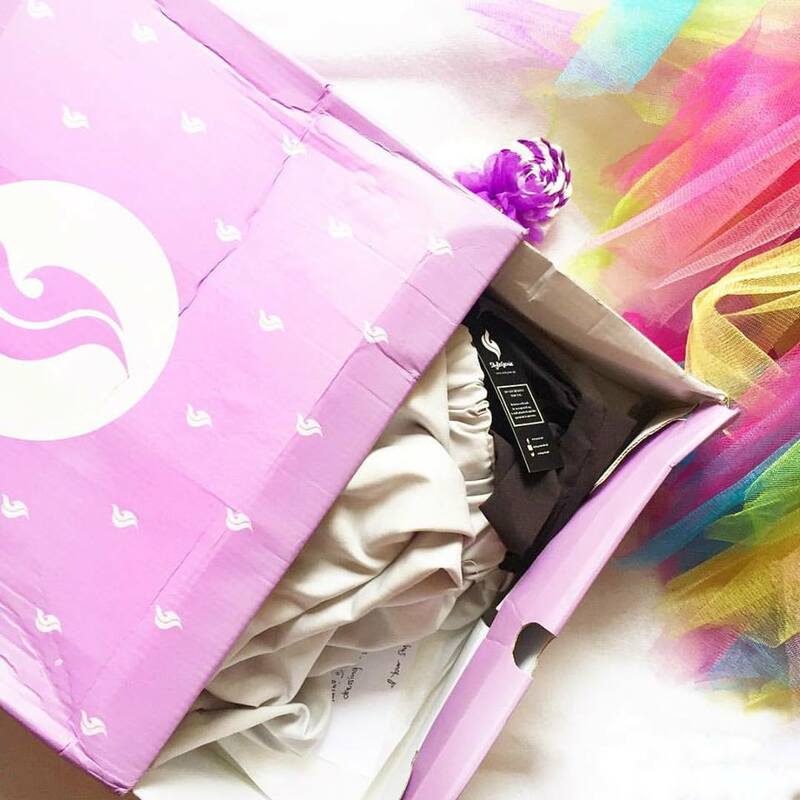 Their boxes are curated just for you! According to your style preference, only even better! ❤️ When you create an account with them, you will have to create a style profile.. and leave out the rest to them. 3. HASSLE-FREE shopping. Going on a date? You will never have to rush to a department store and stay there for hours looking for the best clothes to wear! 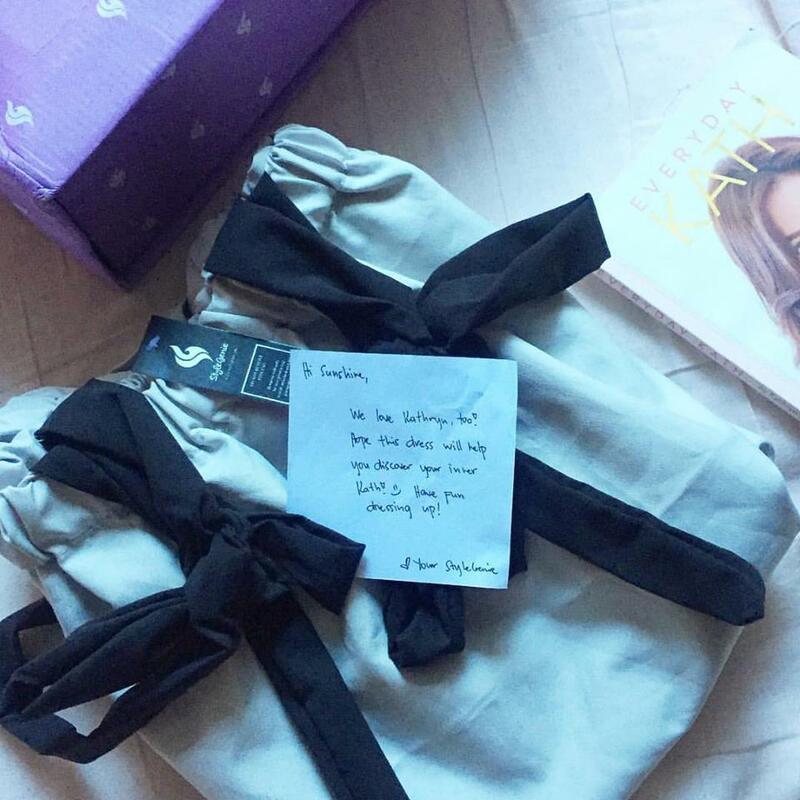 StyleGenie knows exactly what you need and it will be delivered right at your doorstep! Plus, CASH ON DELIVERY IS NOW AVAILABLE! 1. They grant your style wishes like a pro... scratch that... They really are pros! Every month, they feature professional and experienced stylists to help their subscibers find their own style. 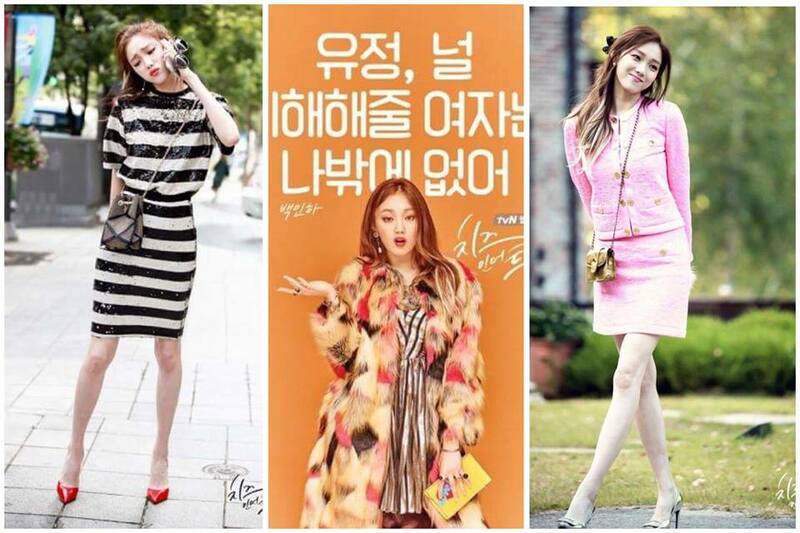 It was some time this year when I joined StyleGenie as their Style Ambassadress! I was so thrilled to be one of them, of course! I know I’ve been telling you this a lot but fashion styling and dressing up is what I always love to do ever since I was a kid. And becoming an ambassador of one of the trending fashion companies in PH is a dream come true. Now here's a treat for you! 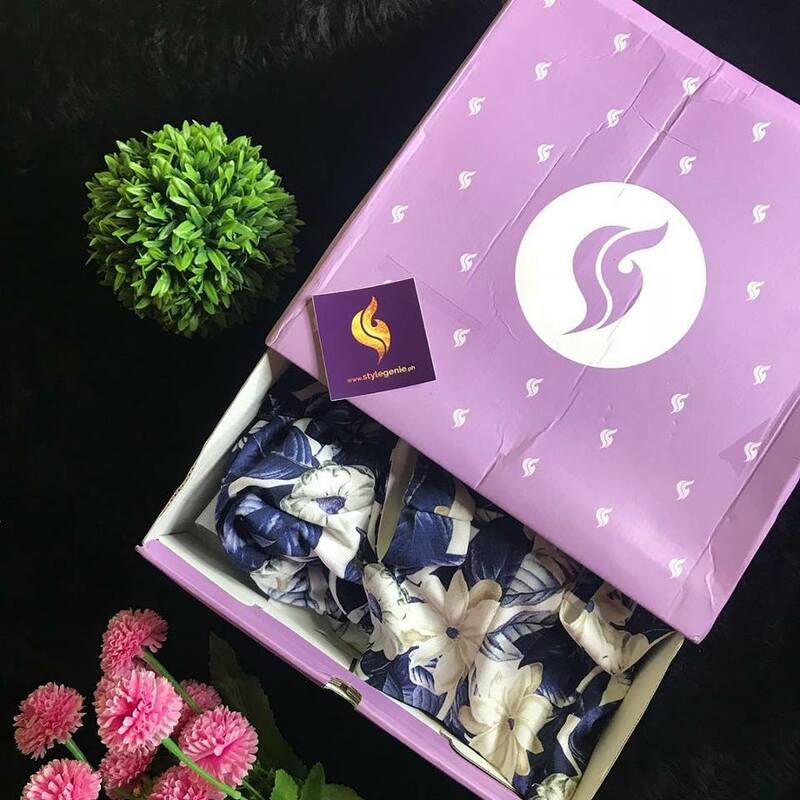 Get your first box now at StyleGenie, create an account and use my code SHINEXSG500 to get Php500 off your first purchase! SAY "I have nothing to wear" no more! 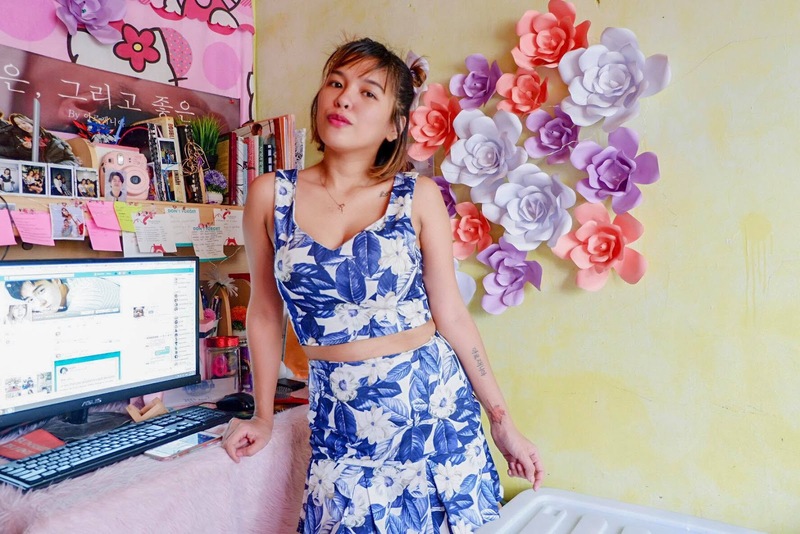 This is a flashback friday + a fashion friday post! 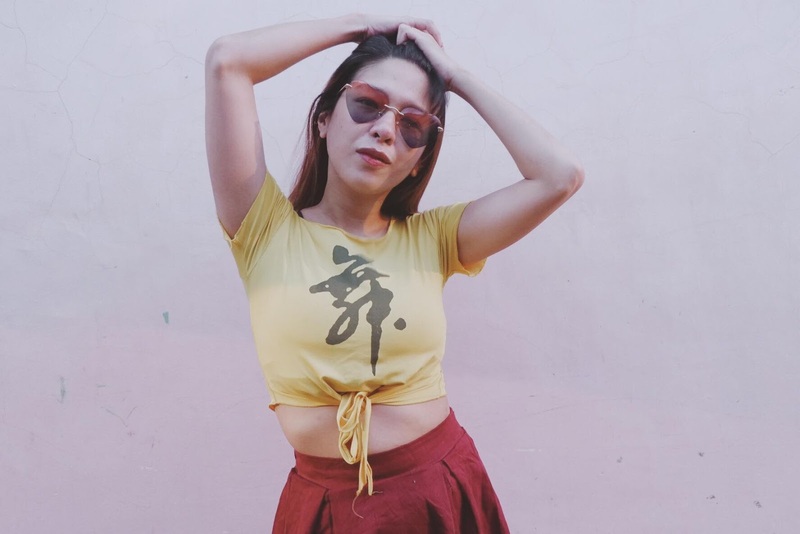 Sharing the first outfit I took with my Fujifilm X-A3 camera. 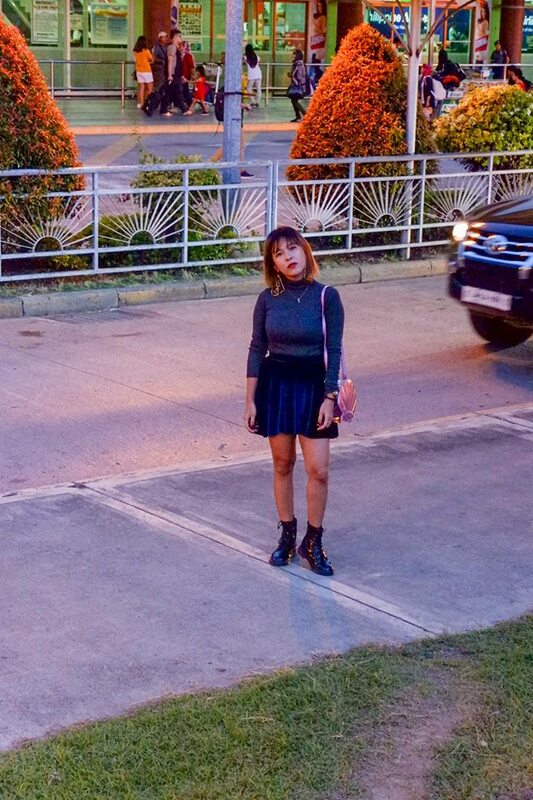 Funny how I've been really eager to get a good camera to post a decent outfit photos here but it seems that when I got everything I need, I became uninspired to update my blog. 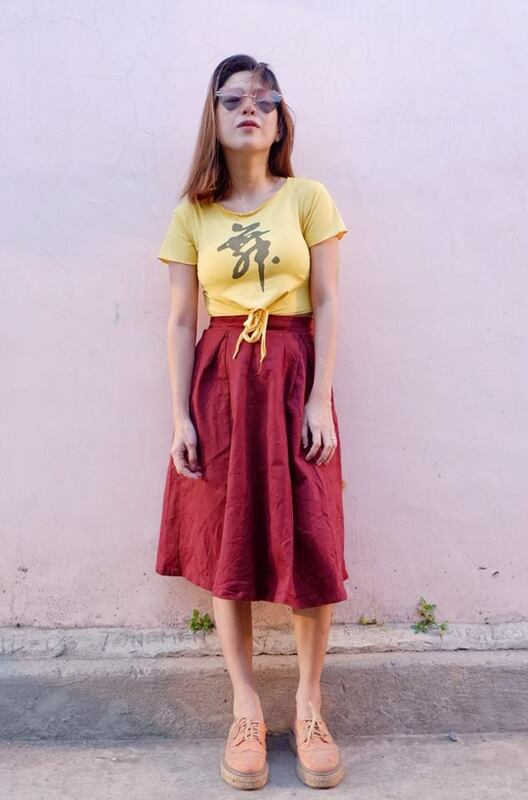 Just sharing you one of the best ways to wear long skirts. 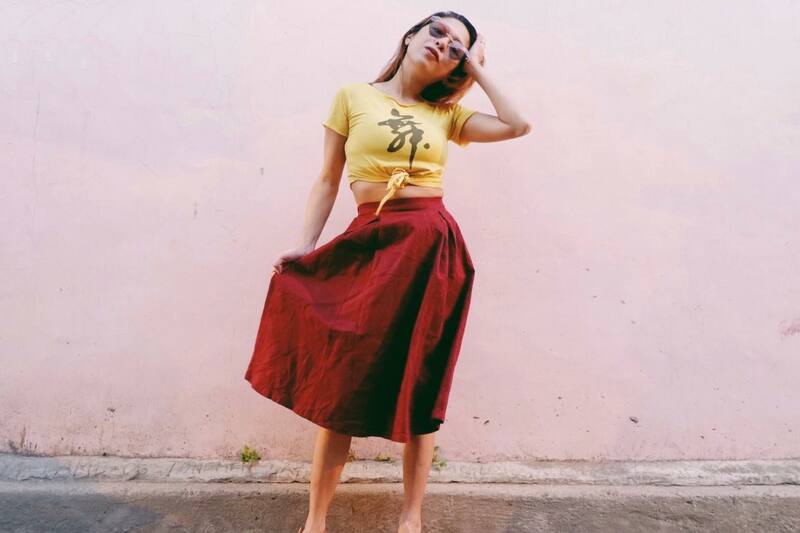 Pair it with a cropped top! 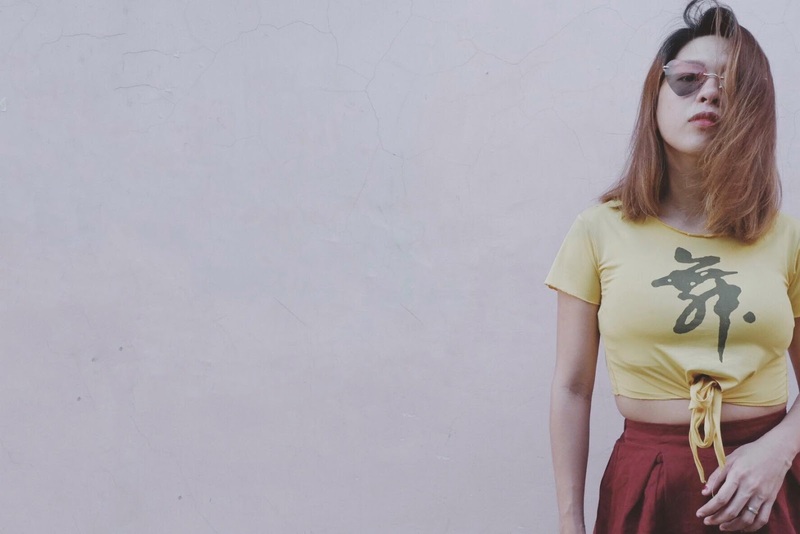 My cropped top is 6 years old. I both got my maroon skirt and my top from the same seller only that,I bought them 6 years apart. Hmmm... never thought I've been patronizing Monica's Closet for quite a while! I'm a fan of her fashion taste. I am a regular buyer until now. My shoes is 4 years old and got it from UKAY-UKAY! Anyways, there you go. This is just an ice breaker! I hope to be updating more outfit posts soon with a better content. Another random thought I want to share this evening! So I told you about feeling out of nowhere in my previous post. I want to share what I realized and what I learned from this. So what really happened was, as I mentioned in my previous post, I had a small conversation with my best friend just to catch up with her. And when she asked about me, I told her I am getting fat. And then she asked me what have I been doing lately... and then I said I work, sleep, and eat. I eat when I wake up, and I wake up anytime of the day. Most of the time, I eat once or twice a day and I eat a lot. I eat whatever comes to mind. Never thinking about what's healthy or not. After that small but deep conversation, we concluded that I might be a little depressed. I told her I feel like I am stuck and I am not going anywhere. I just work, watch KDramas, attend to my kids, sleep late or sleep early, wake up late or wake up early. And she said it's a vicious cycle.. not my routine but feeling down and feeling lost is a vicious cycle. Then she told me, why not have a short term goal, something that I can look forward to. After that conversation, I also opened up to my boss and what she told me was an eye-opener, in case you are in the same situation right now... well, read through..
Where were you 10 years ago? Be honest! I imagined myself 10 years ago. I was a mess. In toxic and unhealthy relationships, I went through a lot of troubles. I am enrolled in a University but I don't go to school. I ended up quitting college, ran away from home, I was a real headache to my father. How about 5 years ago? 5 years ago, I had Lucas. I worked as a Customer Service Representative in a BPO company. I helped my husband, (then boyfriend) with our bills. We were getting by. My life now is the best I have so far. I am living my dream, with my dream job, I have a beautiful family, we're not living a luxurious life, not rich, but we're not just getting by. We're doing so good that we can provide our kids' their needs and wants. "You have constantly been growing and changing and improving and developing, life has gotten awesome (with some bumps on the road, sure)"
"If you met yourself 10, 7 or 5 years ago you would have said you were stuck and not moving forward... Even 2 years ago you'd say the same thing." And more... those, i'm going to keep it to myself. But, I bet once in your life, or most often, you feel the exact same way.. and reading just those 2 sentences I shared, will make you realize that indeed, there's a huge difference between me, 10 years ago and me, today. I've grown so much. "Our day to day life feels unchanging, but when we look back, we can see how far we truly have come and that translates to the future also, it's just frustrating because you don't have the perspective yet like you do when you look back"
As much as I wanna share who she is to you, I'm a bit possessive. LOL. Just kidding. I want to respect her privacy. But what she said is something I can't keep just for myself. If you are feeling the same way like I felt that day today, I hope this post made a difference and changed your perspective. And that's it! I hope you got something from me and thank you for keeping up with me today! Shoutout to all KDrama fans here! I've been in a short hiatus lately and all I did was to let myself drown in heart warming stories and drool over hot Oppas. I'm pretty sure about 45% of the female population can relate. 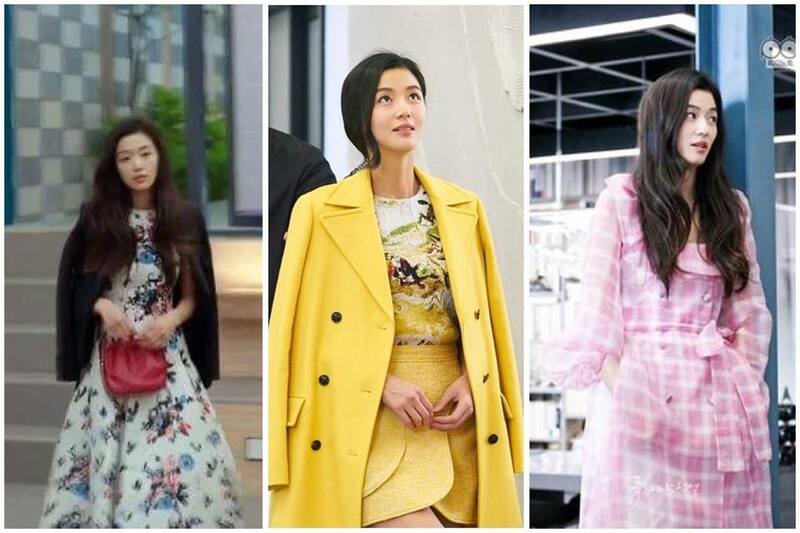 Did you know that KDrama and Fashion are beautifully intertwined? 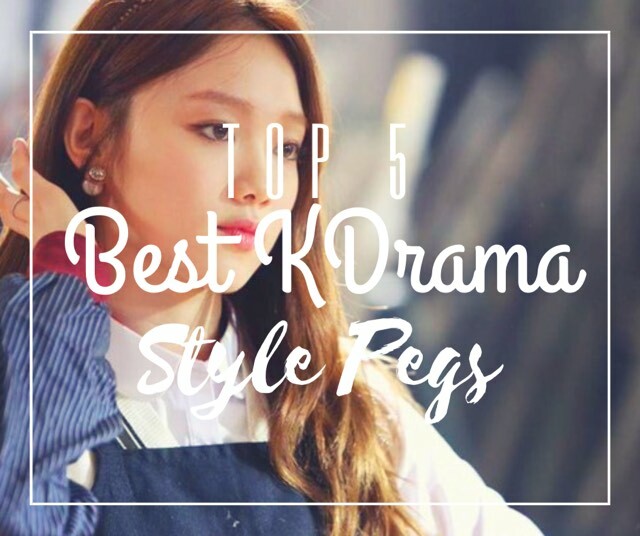 As a result of my short hiatus, I came up with Top 5 Best KDrama Style Pegs that you might want to check out! 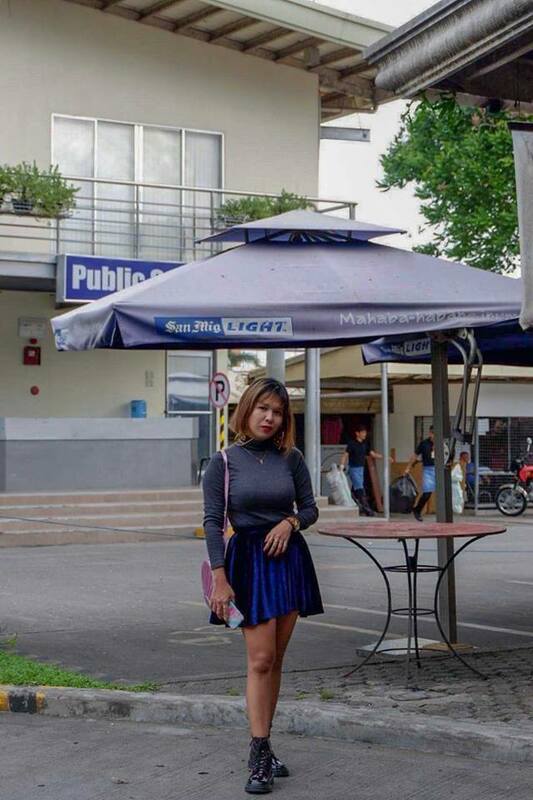 She maybe pathetic and helplessly in love with Dong Man in Fight For My Way, but she beats our Ae Ra with her very classy and polished OOTDs. When to wear: If you want to nail that interview! Let the employer fall in love with not just your wit but with your outfit too! 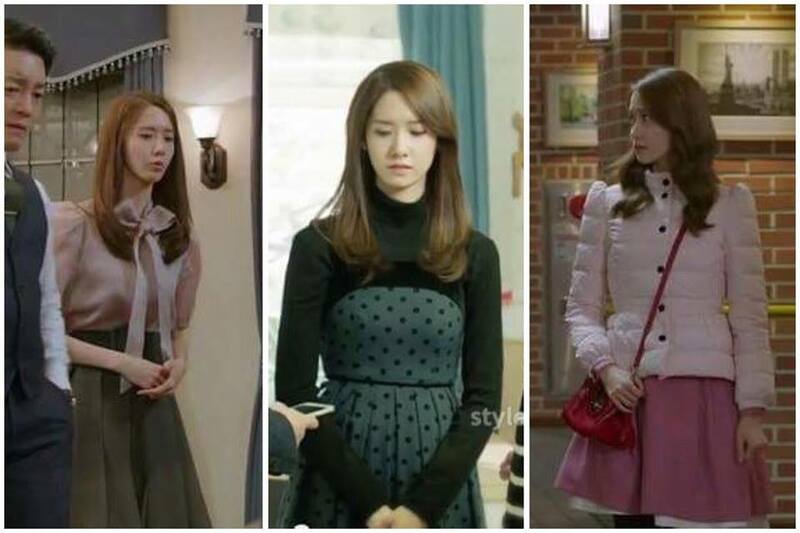 Rachel (The Heirs) and Nam Da Jung's (The Prime Minister and I) outfit are just very royalty and princess-like. They remind me so much of Blair Waldorf. When to wear: On your first date! You need to wear your Santa Santita outfit of course! 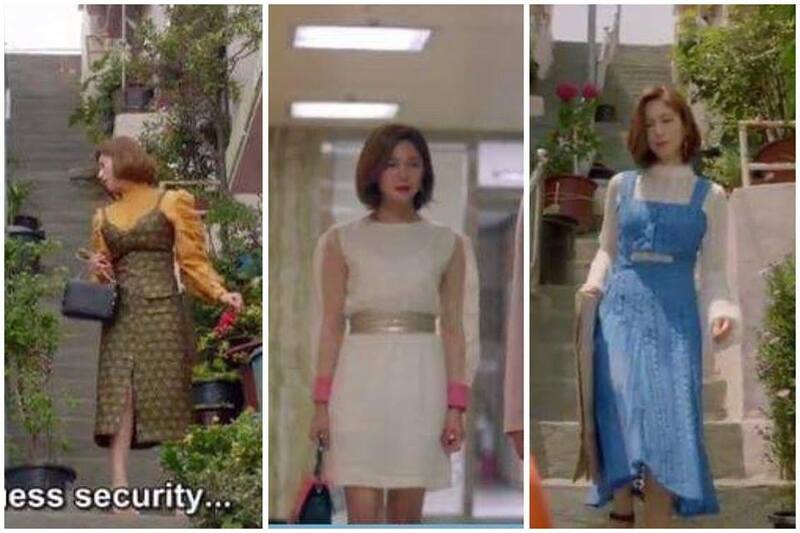 The only drama antagonist that I love so much! Baek In Ha (Cheese in The Trap) is annoyingly crazy and annoyingly stylish! She's always dressed to kill. When to wear: If you wanna be overdressed everyday because THE WORLD IS YOUR RUNWAY! Show it off to your "girlfriends" DUH!! When to wear: Corporate dinners and corporate parties will be asking for it. Hook up with the best bachelor in town. When to wear: At the Casino? Just kidding! Well, if you feel like you need to be Princess Diana once in your life then go for Sim Cheong! Hwaiting!! 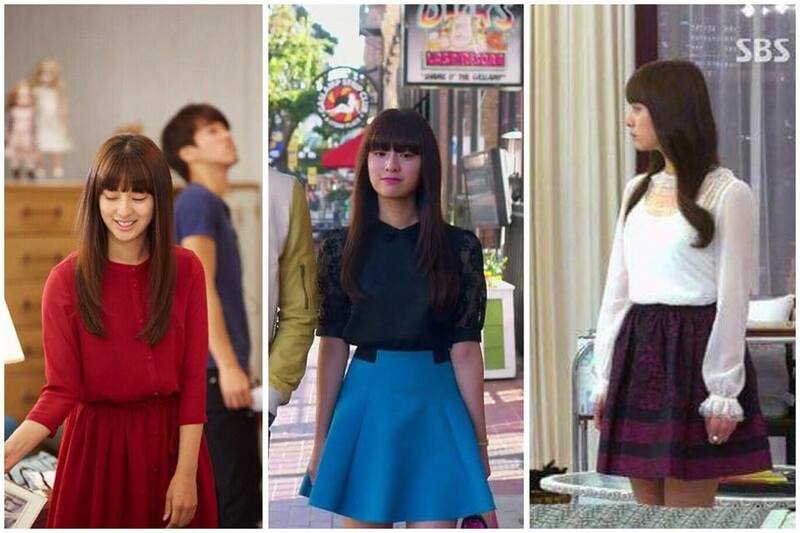 Did you know that we have a Style Genie who can also grant your KDrama fashion wish? If you're having a hard mixing and matching... then rub the right lamp, check out StyleGenie Ph and let your closet wish be granted. Use my code: ESHINE04 to get 10% discount on your subscription! So who are your style pegs? Let me know and i'll check them out too! Getting married? Brides must be the most beautiful girl at her wedding! So what is that one thing you should never forget getting apart from your wedding dress? 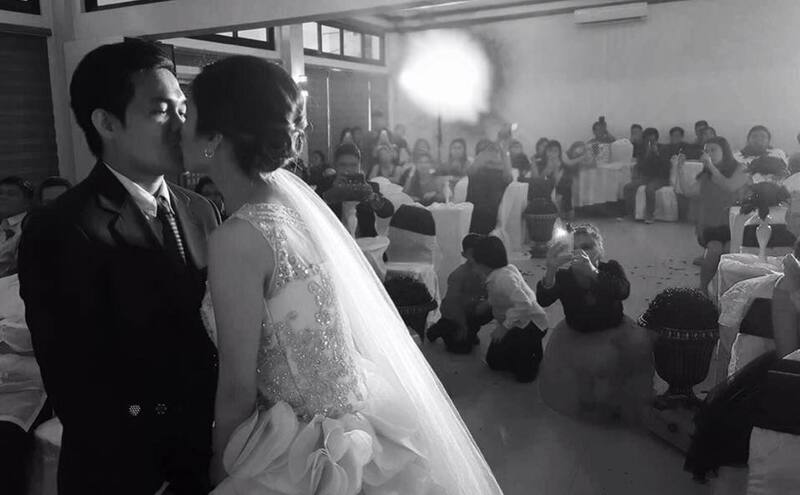 Of course, your wedding veil! Women must not forget that their hair is their crowning glory and she must have the best wedding veil to match the best version look of herself. Best Wedding Veil is a UK based company that is specialized in making handmade wedding veils and hair adornments. It is their business' pleasure to create designs that is organic, classy and with elegance. If you are nature loving bride who prefers fine art wedding then this is something you must look into. What's best with Best Wedding Veil is that they are very much particular with details and they guarantee the quality of materials they use. They are more than creating fabulous pieces for brides. They are a company that supports handmade products and all that comes with it. Best Wedding Veils offer free shipping worldwide and guaranteed to be made entirely in England. Visit https://www.bestweddingveil.com/ and start shopping for your dream wedding!